Until you have a dog, you’ll probably marvel at rolling fields of grass at sunset. 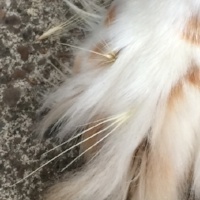 But once you have a dog, that bucolic scene can look more like a hotbed of potential pain and injury from foxtails (also called “grass seed awns”). Foxtails are widespread, near impossible to avoid, and pose a real danger to your dog, if left unchecked. But don’t start thinking you need to go into permanent indoor hiding. There’s a lot you can do to keep your dog safe from foxtails. In this article I'll go over the reasons why foxtails are dangerous and the most common foxtail injuries in dogs. But if you suspect your dog has a foxtail injury or want to know how to prevent such an injury, you can skip to the sections on foxtail removal and prevention. Even if you’ve never thought about foxtails, you’ve definitely seen them. You can identify a foxtail by its characteristic spiny shape. Foxtails are most often found in open areas — hiking trails, along roadsides, in overgrown parks and other open fields — and grow at the top of grass stalks. Foxtails get their name because, well, they look like the tail of a fox, with layers of upward-facing spines protruding from the center. Foxtails and grass seed awns are designed to do one thing: burrow. This is how the grass spreads as the seed slowly works its way deeper and deeper into soil and becomes lodged when the barb-like spines set in place. And this is why foxtails are such a hazard to dogs. Due to the unique shape of this seed, it’s always moving forward — never backward. Forward through your dog’s skin. Forward through their eyes, ears, nose, and mouth. Forward through their lungs. Forward through their paws. And even forward through your dog’s “private swimsuit” areas. 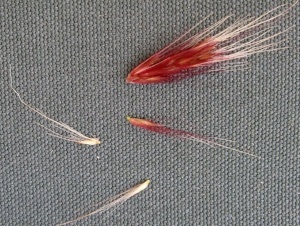 This is the most common entry point of foxtails in dogs, and below are some of the signs you may see. This is the second most common entry point. You should thoroughly examine and groom your dog (and cat) frequently — especially after they’ve been outside and potentially come into contact with foxtails and grass seeds. Make sure to check the common entry points listed above. 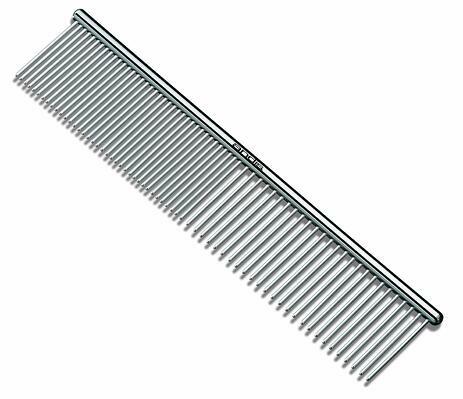 For a thorough foxtail screening, simply run a fine-toothed comb through your dog’s fur. 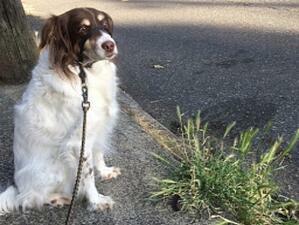 Of course, this will vary in effectiveness based on your dog’s coat and their tolerance for being brushed. Alternatively, you can give your dog a good look over and remove foxtails from their coat with a brush, tweezers, or just your fingers — before they have a chance to burrow and cause (potentially severe) discomfort and problems. If you can’t easily remove the foxtail, or if your dog or cat is exhibiting any of the signs that could be related to the presence of an imbedded or inhaled foxtail, see your veterinarian right away. Embedded foxtails can be extremely painful and can cause some very (very) significant damage, too! Your vet will be able to properly manage your dog’s discomfort and deal with the foxtail before the problem gets even worse. It bears repeating that removing a foxtail early on will significantly reduce the chance of a more serious health issue — plus, your dog will be happy to have it out. It's nearly impossible to rid foxtails from your dog’s environment, especially during the summer, but you can still prevent a serious problem. Face Protection: OutFox Field Guard, great for protecting the eyes, ears, noses, and mouth. 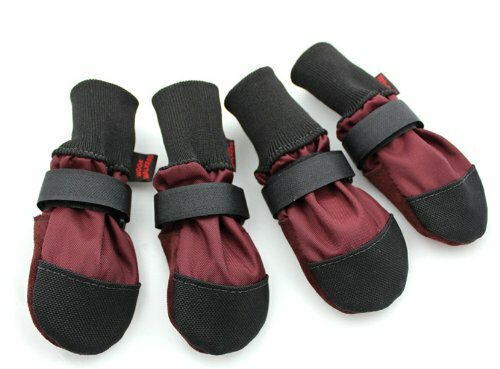 Paw Protection: There are many great brands of protective dog booties, and some that are better for different breeds, sizes, and/or personalities. Both Ruffwear and Muttluks are great places to start. 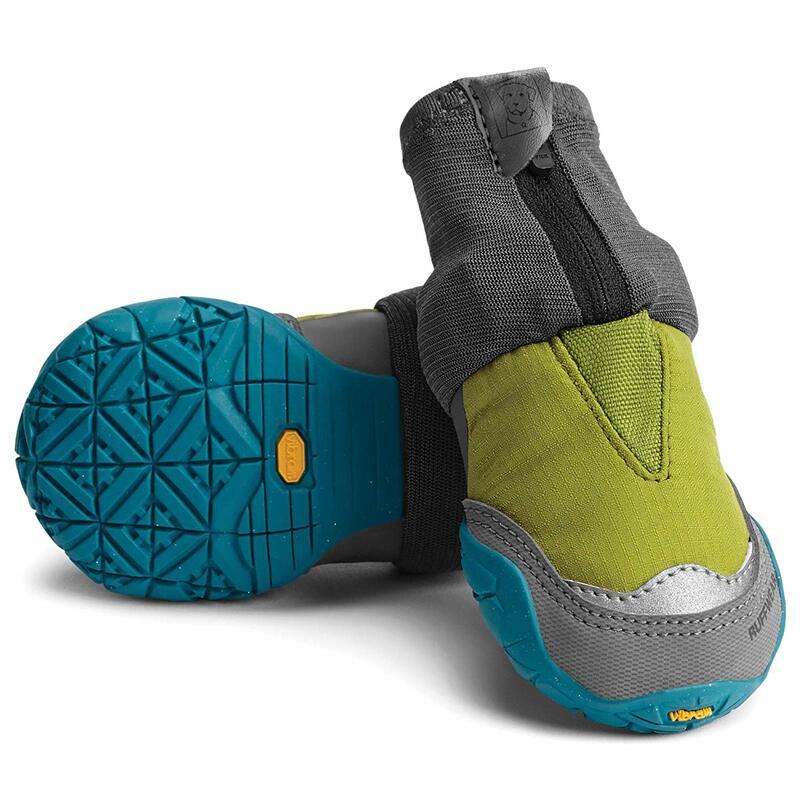 RUFFWEAR Polar Trex V2 Dog Snow Boots 3.25"
Even if you use one of these products, you should still check for grass seed awns and brush out your dog’s coat after any walk. That being said, these tools can help spare you and your dog significant pain and financial expense! 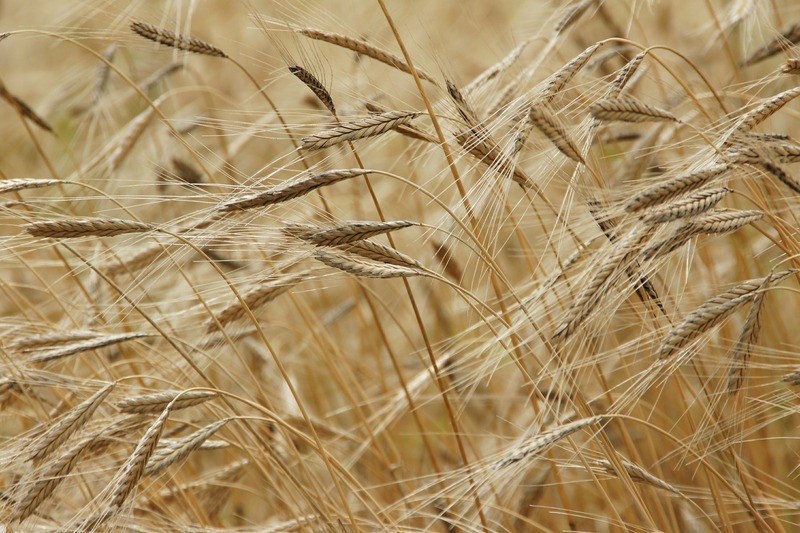 Put simply, foxtails are found just about everywhere throughout North America. In fact, foxtails are reported to thrive in all but 7 states in the U.S.: Florida, Georgia, Hawaii, Louisiana, North Carolina, South Carolina, and Virginia. In drier western states, particularly California, foxtails are pretty much ubiquitous. Wet fall and winter months give way to dry summers, causing the seed pods to dry off, break away, and go looking for a place to burrow. Be especially watchful for foxtails at parks that aren’t very landscaped and have uncut grass, and on hiking trails. In this video Dr. Rode removes a foxtail from a dog's nose. And this cat had it burrowed into his lungs. Thankfully both turned out well!